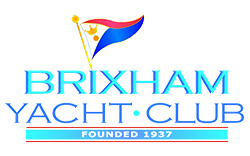 The Company is referred to in these Articles as "the Club"
(i)to receive for nil consideration the personalty assets of the unincorporated association ("BYC") known as Brixham Yacht Club; to accept as members of the Club the members of BYC on the membership bases in force immediately prior to incorporation; to take over on a continuing employment basis the employees of BYC; to take on the contracts of BYC in so far as they can be transferred; to indemnify BYC, its officers, trustees, Members and Members of its committees against all costs, claims, demands, actions and proceedings relating to its assets as above, undertaking, obligations and commitments of (whether legally binding or not) and also in respect of the costs and expenses and outgoings from or attributable to the setting up and incorporation of this Club as a Company and the transfer of the above. (vii)to make rules, regulations, bye-laws and standing orders concerning the operation of the Club, its premises, equipment and facilities including, without limitation, regulations concerning disciplinary procedures that may be taken against members and other users of the club and its facilities. (c) The income and property of the Club shall be applied solely towards the promotion of its objects and no portion thereof shall be paid or transferred directly by way of dividend, bonus or otherwise howsoever by way of profit, to members of the Company and no Director of the Company shall be paid by salary or fees, or receive any remuneration or other benefit in money or money's worth from the Company for discharging his/her duties as such. (c)The "elective period" is from the date of incorporation until the end of the first Annual General Meeting and thereafter is from the end of each Annual General Meeting until the end of the following one. (4) Any member who resigns or is deemed to have resigned or is removed from membership and has been paying the subscription by direct debit or other types of instalment shall remain liable for the contracted term but shall not be entitled to the benefits of membership and shall not be entitled to a refund of the subscription or any part thereof nor of any other fees paid to the Club "
a.Members shall at all times, when on the Club premises, or engaged on Club activities, or representing the Club, behave in a civilised and polite manner. b.The Club staff are required by their contracts of employment to treat members with respect and it is required that members treat them with equal respect. c.No member other than a Director or a relevant line manager may reprimand a member of staff. Complaints about staff must be made in writing to the Club Secretary who will investigate the complaint and take appropriate action. a.The minimum standard of dress for all persons using the Club Bar & Restaurant shall be shoes, slacks or shorts and shirts and be of clean appearance. b.Wet sailing clothing shall not be worn in the Club Bar or Restaurant (unless by special arrangement). c.When a vessel is wearing the Club ensign, it shall also wear the Club burgee. Other burgees may be worn in an inferior position. a.A Member shall settle any indebtedness for refreshment or otherwise before leaving the Club premises, or in accordance with any byelaw relating to the settlement of such indebtedness. a.No member, nor his delegate, shall cause any communication in whatever form to be exhibited on Club notice boards or premises without permission. a.Move the vessel to any other part of the Club premises without being liable for any loss or damage to the vessel howsoever caused. b.Give one month's notice in writing to the Member or former Member at the Member's last known address, and thereafter sell the vessel and deduct any monies due to the Club (whether by way of arrears of subscription or annual payments, mooring, dinghy park fees or otherwise) from the net proceeds of sale before accounting for the balance (if any) to the Member or former Member. a.No game of pool is to be commenced after the Bar closing time at night. a.No member or their guests or any other visitor to the Club shall speak on a mobile telephone in the Bar or Restaurant area. Members wishing to answer an incoming call shall do so in the Club foyer, or other external area. b.No visitor may be signed in more than 6 occasions in any one 12 month period, irrespective of who is signing them in. a.The internal premises of the Club and the main entrance are designated as a Non-Smoking Area. Smoking is permitted outside on the rear balcony. This Rule also applies to use of E-cigarettes (vaping). a.It is the responsibility of parents or guardians to ensure that their children behave at all times in a manner that does not cause inconvenience or embarrassment to other Members. b.Young Persons under the age of 18 and Cadet Members must only approach the bar, and will only be served, at the end hatch/opening nearest the Jubilee room. They must not sit at the bar on bar stools.